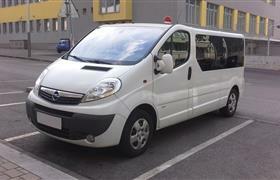 If you have a large family or you travel with a group of friends, this minibus will be the best for you. A large trunk and the car’s air conditioning providing controlled distribution of air throughout the back of the vehicle. The car is equipped with automatic gear box and it is very comfortable for drivers and passengers.